One of the things I'll miss most when I leave Houston is kolaches. The kolache: a filled pastry with a buttery dough and savory or sweet fillings that can be found across Texas doughnut shops. (It's basically a glorified dinner roll. The best kind is the sausage/jalapeno/cheese variety). Here's a blast from the past of my first encounter with the little bundle of goodness. I decided with a few days off from work, I would embark on trying to make kolaches in my kitchen, in preparation for my move to KC. Also, I did some research on a poppyseed kolache at Olde Towne Kolache Bakery last weekend. Poppyseed kolaches are the quintessential Czech kolache flavor. Let's just say that I will not be using the bag of poppyseed I bought in preparation to make that flavor. No, just no. So after nixing the poppyseed flavor, I decided to make my classic favorite (sausage/cheese/jalapeno) as well as an Asian inspired flavor--black sesame (Thanks, Twin + Erin for the suggestion) and a jam filled one. As with any yeasted dough recipe, it's almost an all day project, waiting for dough to rise a couple times. Regardless of the wait times, it really was a delicious result! I can't wait to recreate kolaches for all the non-Texans in my life after I leave the Lone Star State! 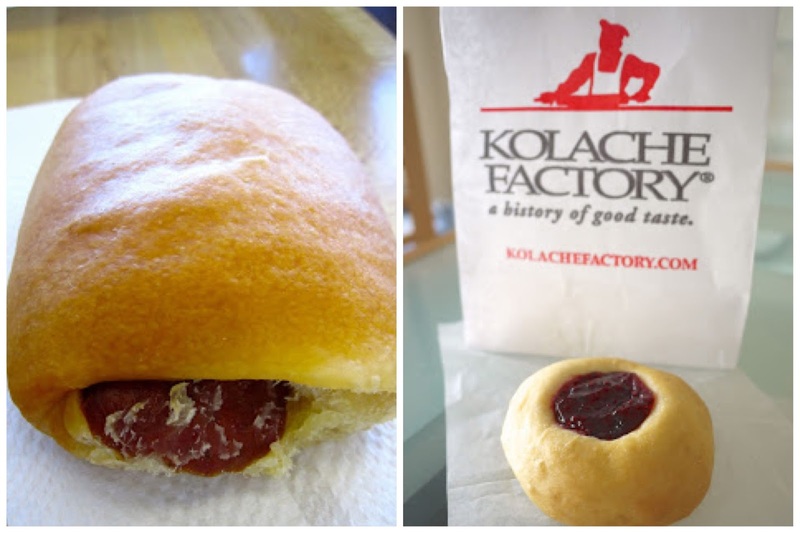 And check out the video from Cook's Country to get a visual for the kolache making process. 1. Butter a large bowl. Mix milk, butter, egg and egg yolks together in a large measuring cup. In a stand mixer bowl, mix together flour, sugar, yeast and salt. With the dough hook on the stand mixer, add in liquids to bowl with flour mixture on low for 2 minutes. Then on medium speed, mix dough for 8-10 minutes or until dough is no longer sticking to sides of bowl but sticks to bottom of bowl. 2. Transfer dough to the greased bowl and cover with plastic wrap. Place a loaf pan on the bottom of an unheated oven and fill with 3 cups of boiling water. Put the bowl with the dough on an oven rack above the boiling water and close door. Let rise for 1 hour or until doubled in size. 3. Line two baking sheets with parchment paper. After dough has risen, punch dough and place on a floured surface. Divide dough into quarters and then divide the quarters into quarters again (16 total pieces). Roll each dough piece into a ball and place onto lined baking sheets. 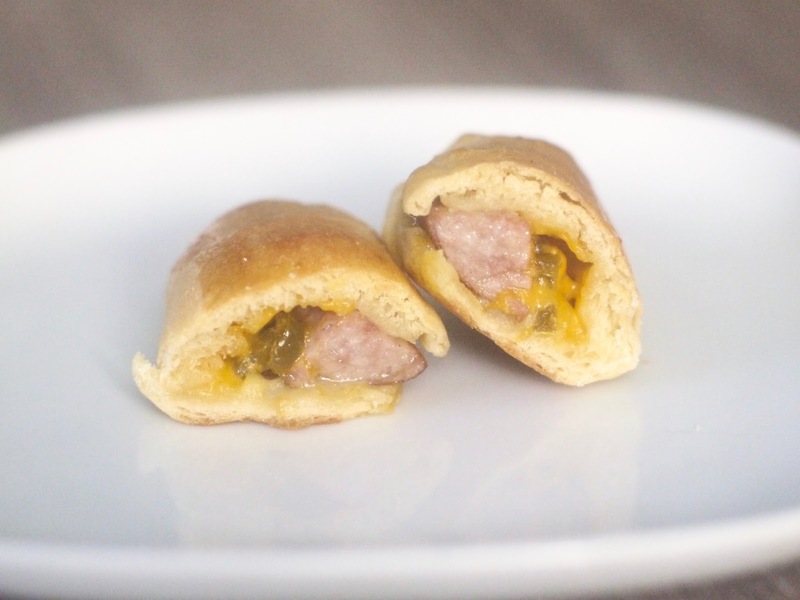 If making sausage kolaches, cut dough ball in half. Then flatten the ball and place a 1/2 tbs cheese, 2-3 jalapeno slices and a 4-inch piece of kielbasa onto center of ball. Then seal up dough over filling and roll into a log. Place the baking sheets back in the oven with fresh boiling water in the bread pan. Let rise for 90 minutes. 4. Combine egg and milk to make an egg wash. Remove dough from oven and preheat oven to 350 degrees. If making fruit or black sesame filled kolaches, make an indentation in the center of the dough to make a well for filling. Brush dough with egg wash onto tops of kolaches. Bake for 20-25 minutes, until lightly browned. 5. 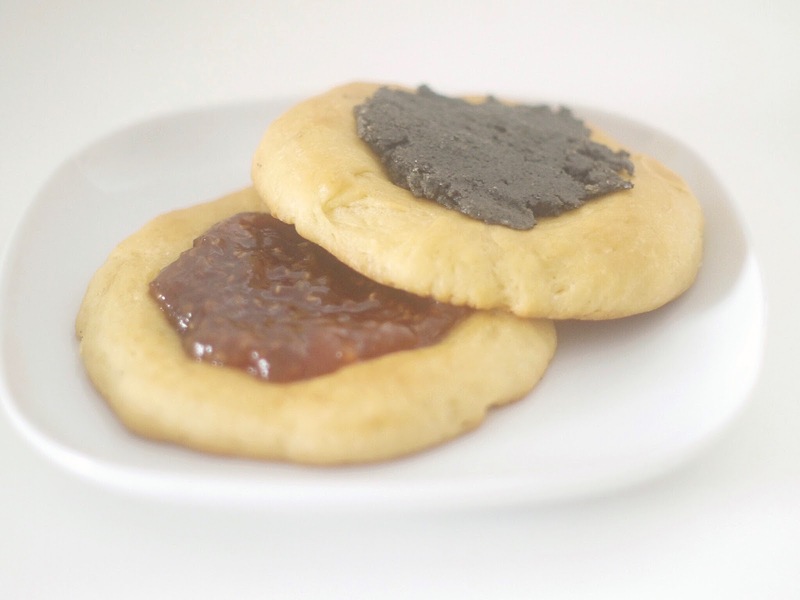 While kolaches are baking, make black sesame filling. In a stand mixer, cream sugar and shortening together until mixed well. Then mix in black sesame powder. Set aside. 6. Remove from oven and let cool for 5 minutes on a drying rack. 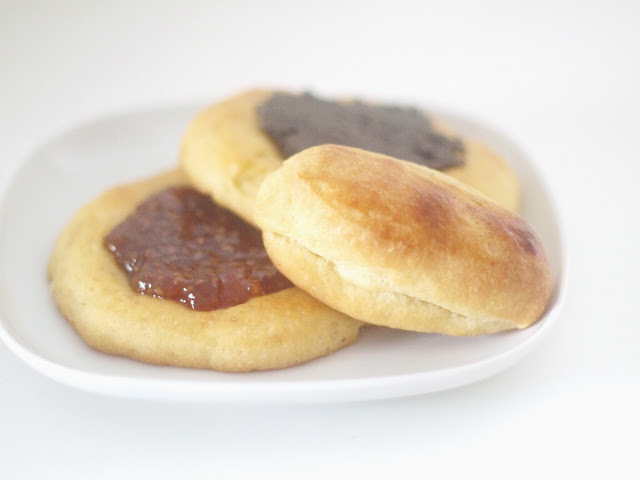 For black sesame or fruit filled kolaches, add a tablespoon of black sesame filling or jam into the middle of kolaches. Serve and enjoy.